No mercy for this quirky monarch and his mangy entourage... Blow the kings off the island! 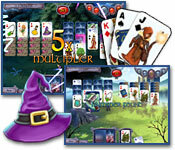 Spellcreepers Prelude Cast spells and battle enemies in this rpg match 3 game. Pyramid Solitaire - Aztec The Aztec Gods are vengeful. Give glory to them by building their pyramids! 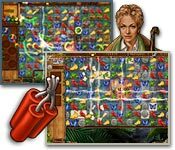 Discover Egypt A unique combination of mahjong game and spot the difference game set in Egypt. 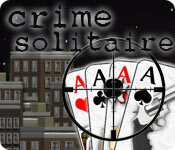 Magic Towers Solitaire Fill the world with magical towers in this superb solitaire game. 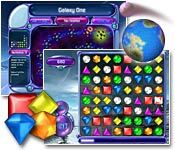 Galactic Gems 2: Level Pack 30 new levels can be found in this expansion to one of our most popular match 3 games. Room Expedition Find 130 hidden objects scattered across the hotel room. Racing Cartoon Differences Find the differences in the racing images. Balloon Twist A fun twist on the collapse match 3 genre. 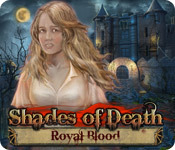 Click to place bombs and blast the kings off the island. Press any key to slow time!